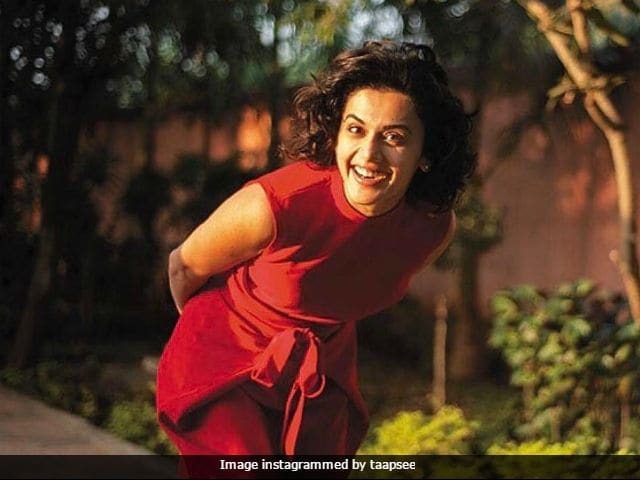 Actress Taapsee Pannu started shooting for the Mumbai schedule of Judwaa 2 on Wednesday. The 29-year-old actress told news agency IANS that the shoot of Judwaa 2 is nearing completion and that she is eagerly awaiting the release of the film. "We will have a song and a few scenes to be shot here before we leave for Portugal next month. The song Tan Tana Tan will be shot on a set. We are almost approaching the final leg of filming and can't wait for the fun to unfold onscreen," Taapsee said in a statement to IANS. Judwaa 2, which is a remake of 1997 film Judwaa, also stars Varun Dhawan and Jacqueline Fernandez. Salman Khan will reportedly be seen in the climax scene of Judwaa 2, directed by David Dhawan. The 51-year-old actor played the dual role in Judwaa, co-starring Karisma Kapoor and Rambha. "Salman will appear as both, Raja and Prem, his twin characters from the film who have aged by 20 years. His judwaa will come face-to-face with Varun's double role, possibly bantering in the climax scene," mid-day quoted a source as saying. Judwaa 2 is Taapsee Pannu's second collaboration with filmmaker David Dhawan. They have previously worked together in 2013 movie Chashme Baddoor. Judwaa 2 is scheduled to release in theatres on September 29. Taapsee Pannu was last seen in Naam Shabana, directed by Shivam Nair. The film also starred Akshay Kumar, Manoj Bajpayee, Anupam Kher and Prithviraj Sukumaran. Taapsee Pannu will next be seen in Tadka, directed by Prakash Raj. The film, which is an adaptation of Malayalam movie Salt And Pepper, is scheduled to release in theatres on September 8.